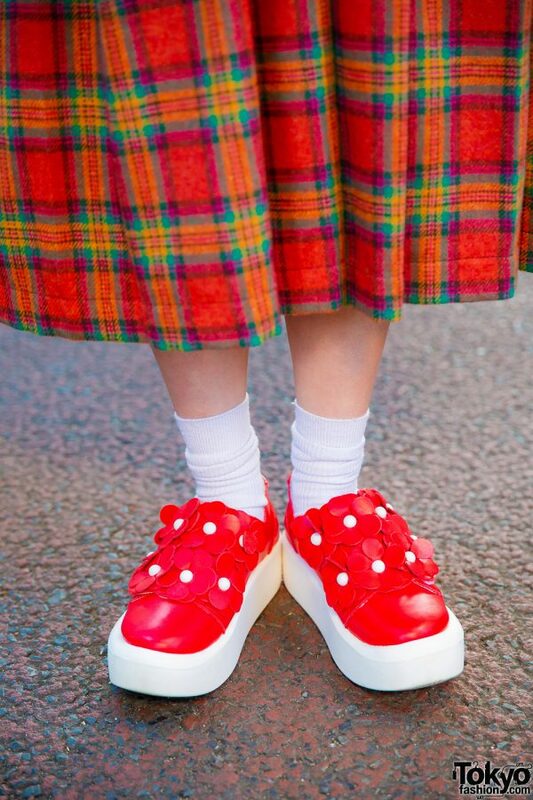 Catching our attention on the Harajuku street one day are Misaki and Mami, two HEIHEI staffers whose plaid outings make them familiar faces on our street snaps. 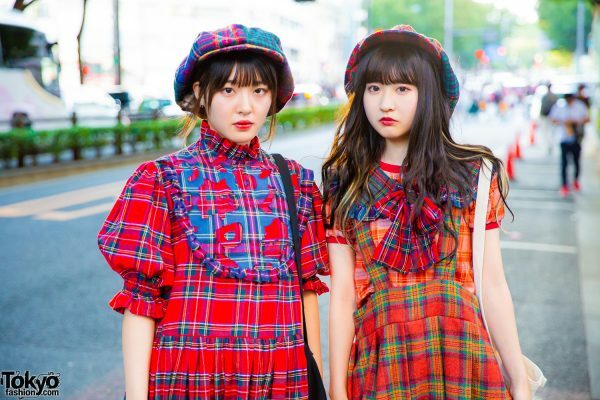 At the left is 19-year-old Mami, who stepped out in a red-and-blue plaid ruffle dress from HEIHEI, which features balloon sleeves, a ruffled turtleneck and a cutout collar. 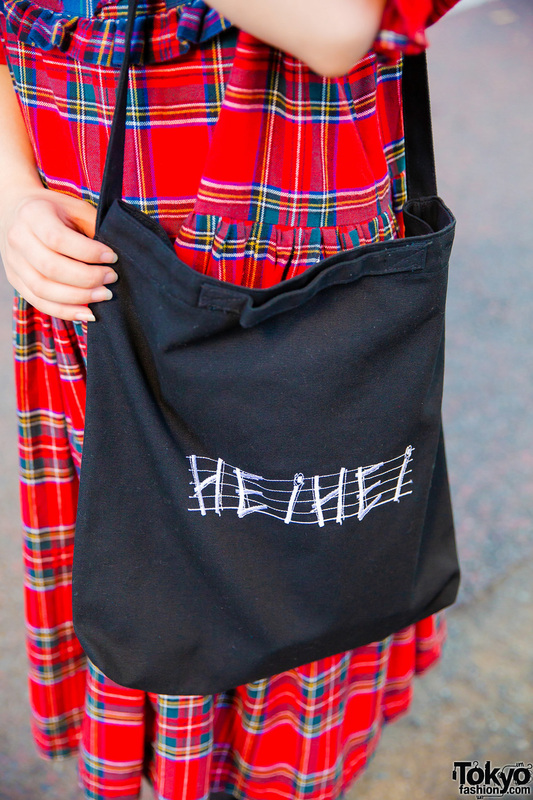 Black tights, black Tokyo Bopper bow shoes, and a black HEIHEI tote bag completed her look. Finishing touches to Mami’s style include a plaid wool newsboy cap over her fringed updo and silver hoop earrings. Follow Mami on Instagram. Misaki – on the right – is clad in a red plaid shirt, a red-and-green plaid and pleated jumperskirt, and a blue plaid bow collar, all of which are from HEIHEI. 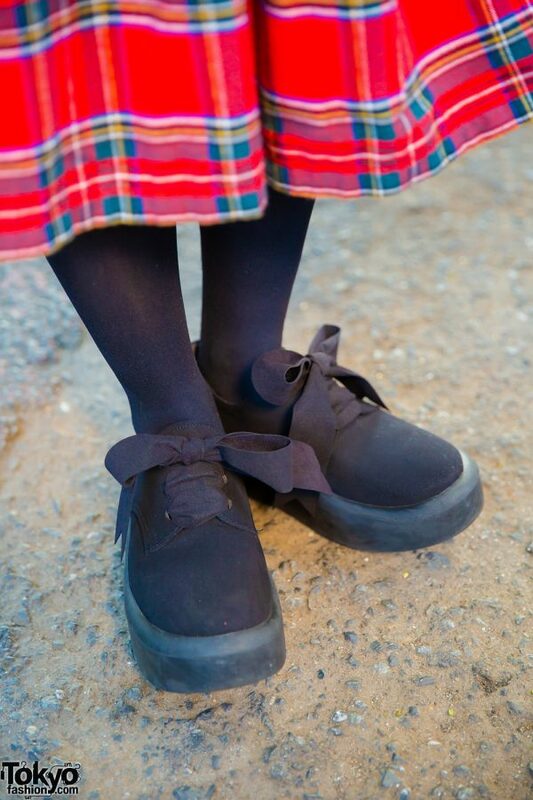 White socks, red flower cutout shoes from Tokyo Bopper, and a plaid newsboy cap – also from HEIHEI – finished off her look. 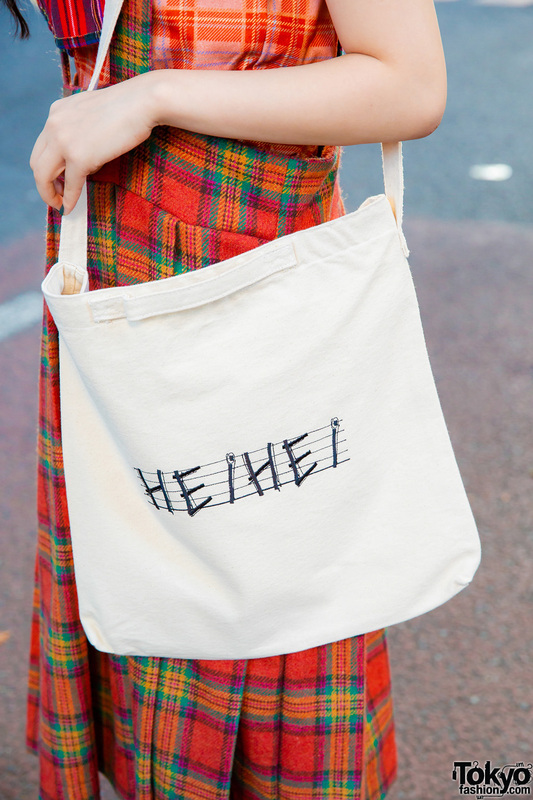 In addition, Misaki is also toting a white HEIHEI tote bag. Misaki loves all things HEIHEI, and she is also active on Instagram.